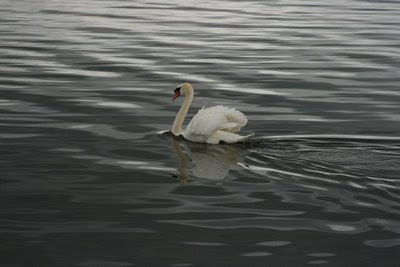 I've always loved swans. They are so elegant and graceful. In fact, one of my favorite books is E.B. 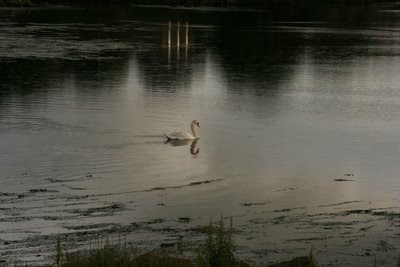 White's classic, The Trumpet of the Swan. 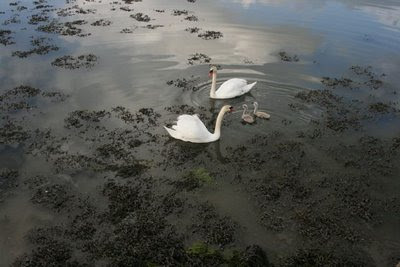 Irish mythology is filled with stories about swans, too, including the Children of Lir who were turned into swans. 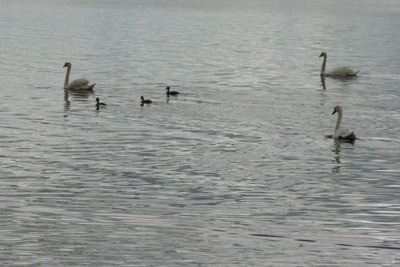 Personally, I was delighted to see so many families of swans. 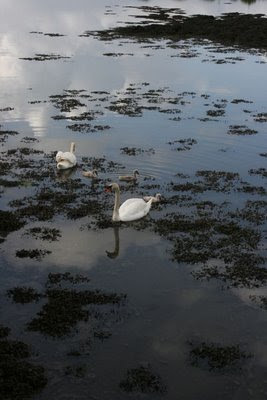 The signets were still following their parents about on the waters, and they are darling little fluffy creatures. 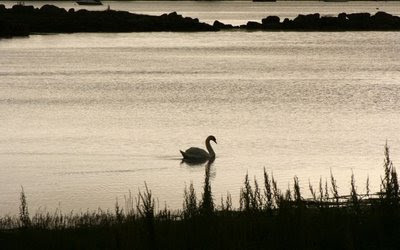 What are your favorite swan stories? Many thanks to those of you who joined me from DeliciousBaby.com's Photo Friday! Check out more great photographs here. 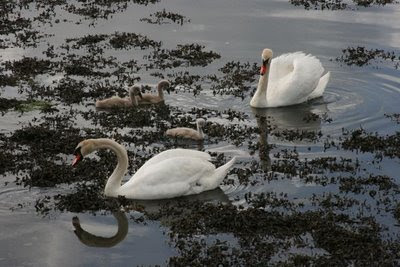 It's illegal to kill a swan in the UK because they are all owned by the monarch. If I ever meet the Queen, I'd be tempted to ask her what they taste like! The Silhouette is really nice. Those mute swans can get pretty nasty however. 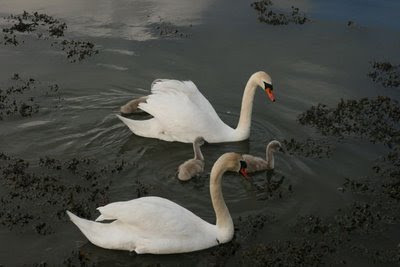 i love swans. you know what's interesting. i haven't really seen any in costa rica, guatemala or central america. weird, huh! Dominique, that story is hysterical! Thanks for the link!